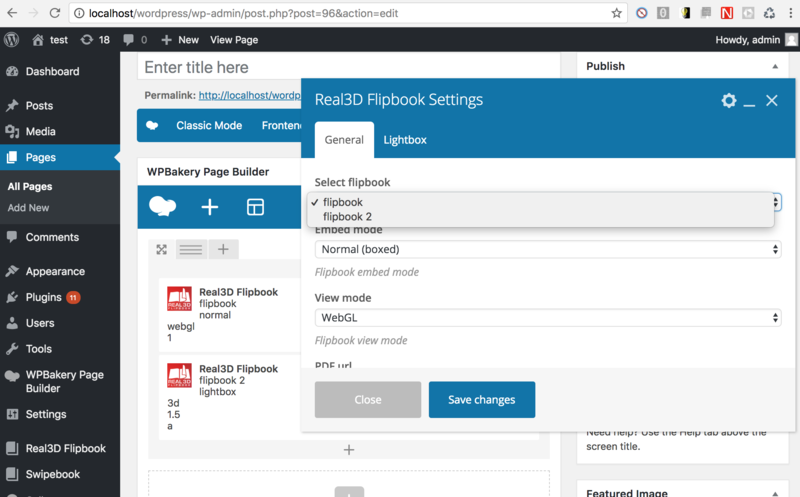 Please note that this is an addon plugin to integrate 2 plugins (Real3D Flipbook for WordPress & WPBakery Page Builder (formerly Visual Composer)). 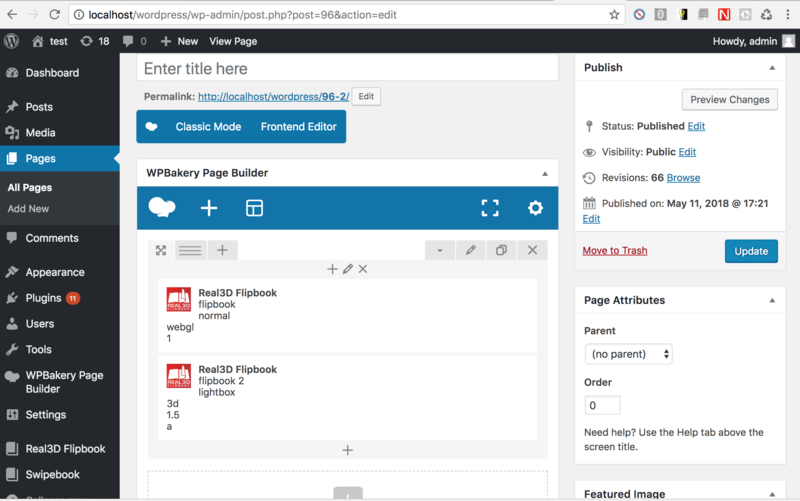 It requires both WPBakery Page Builder and Real3D Flipbook for WordPress installed in order to work. 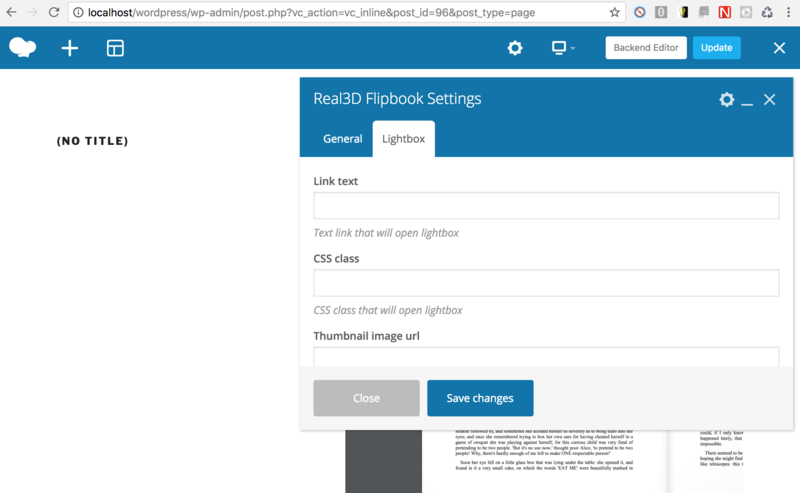 It enables you to add Real3D Flipbook to your page using WPBakery Page Builder and override default flipbook settings with shortcode parameters. 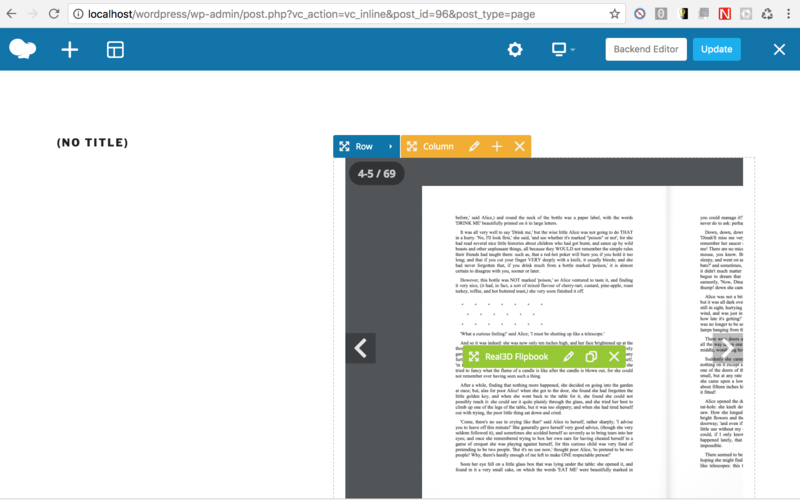 You can override PDf url, lightbox image, lightbox text, lightbox CSS class, flipbook container aspect, flipbook view mode.